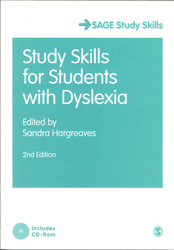 Study Skills For Dyslexic Students - ubiq bookshop: the best place to buy books! Full of advice on topics such as note taking, reading strategies and exam technique, this fully revised and updated new edition will motivate, inspire and guide you through your studies. The advice and tools provided will help you plan your work, improve your skills and boost your confidence. Included with the book is a CD Rom that supplies: - an electronic copy of the book - editable planners and other resources - internet links to further information, templates and additional help. This is an essential read for all dyslexic students in further and higher education. Featured in the May 2012 Education and Youth Issues newsletter.